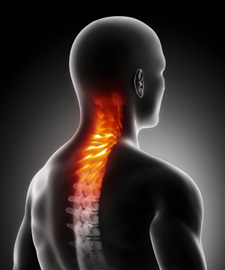 Our chiropractors aim to understand the cause of your neck pain, and will hopefully be able to help your specific concern through the use of specialised techniques. One of the biggest studies conducted on neck pain (2000-2010 Task Force on Neck Pain) showed that Chiropractic (and other modalities we use like Cold Laser Therapy) can be a suitable treatment for most of the common forms of neck pain (1). As part of your first visit to our office, our chiropractors will take your full medical history and carry out a thorough physical examination to determine if they are able to help you. In some cases, they will recommend that you have x-rays taken to assist their findings and recommendations. If you are experiencing neck pain, you may develop other physical symptoms like headaches, shoulder or arm pain, and this can make day-to-day living difficult. When basic mobility affects your quality of sleep, ability to work and exercise, and take care of your family, we understand that you want some relief as soon as possible. To book a comprehensive Initial Consultation with one of our chiropractors, please contact us on 07-3356 9552. Do you have a pinched nerve or joint dysfunction? The classic pinched nerve can originate from a disc bulge anywhere along the spine. Pinched nerves originating from the neck can commonly cause tingling or numbness in the hands, as well as shooting pain and weakness in the arms. However, you can experience the same symptoms without having a bulging disc and pinched nerve. Joints which are in dysfunction are a far more common cause of neck pain. When a spinal joint is out of normal alignment, the nerve tissue around the joint can become irritated, creating erratic muscle spasms that grab and pull on nerves. To determine the cause of your pain, our chiropractors thoroughly assess your neck and spine using orthopaedic, neurological and postural tests. Whether you have a disc bulge, or other joint or muscle problem, our chiropractors have over 60 years of combined experience and are well trained to assess these problems. Apart from obvious traumas like motor vehicle accidents, falls, and sporting injuries, most neck problems develop into joint dysfunction from an accumulative stress. In today’s Digital Age, the biggest contributor to neck pain as a result of poor posture is due to our increasing use of personal devices such as smart phones, personal computers and laptops. This condition is fast becoming known as Text Neck. If we want to help spinal problems, we must correct more than just the underlying conditions; we need to change the digital behaviours that are fast becoming an epidemic in our modern society. By getting to know your digital technology habits, we also hope to help you correct any postural habits that are contributing to your problem. So, it’s no surprise that we take a holistic approach to your wellbeing. The spine functions as a complete dynamic system, with 24 moveable segments that allow you to move, bend and twist. In our experience, we find that problems in other parts of the spine and body can project stress into the neck, compromising recovery. For example, dysfunction in the pelvis has been shown to increase muscle tension in the trap muscles by the neck (2). The pelvis is your foundation and directly affects the supporting core muscles. Without adequate support, the shoulder and neck muscles will brace to make up for the lack of support. If a shoulder is not moving correctly, spinal muscles may brace in assistance, causing a nagging ache in the neck. These are just a few examples of why we assess the whole spine and posture system. What can you do to improve Cervical Lordosis? 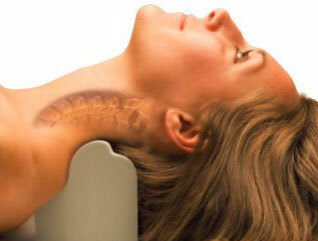 Part of your chiropractic care may include an X-ray analysis, which is used to measure the degree of your neck curve. This curve can be improved using a Denneroll Spinal Orthotic, which provides an effective stretch to your muscles and your spine. These cushioned supports aim to modify or correct functional and structural characteristics of the neck over time. Our chiropractors can recommend an appropriate Denneroll orthotic through a comprehensive review of your situation. To book a comprehensive Initial Consultation with one of our chiropractors, please call us on 07-3356 9552. (3) Journal Manipulative Physiological Therapeutics. 2011 Mar-Apr;34(3):153-63. (8) Kristjansson E, et al. JMPT 2002: http://www.ncbi.nlm.nih.gov/pubmed/? (9) McAviney J, Schulz D, Bock R, Harrison DE, J Manipulative Physiol Ther. 2005 Mar-pr;28(3):187-93. (10) Moustafa IM, Diab AA, Harrison DE. The effect of normalizing the sagittal cervical configuration on dizziness, neck pain, and cervicocephalic kinesthetic sensibilitEuropean Journal of Physical and Rehabilitation Medicine 2016; In Press.